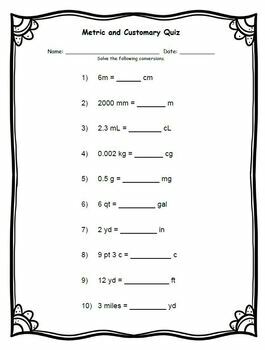 Metric and Customary Measurement QUIZ, created by Tricks and Treats for Teaching. 10 Questions; 5 questions of Metric conversions and 5 questions of customary conversions. 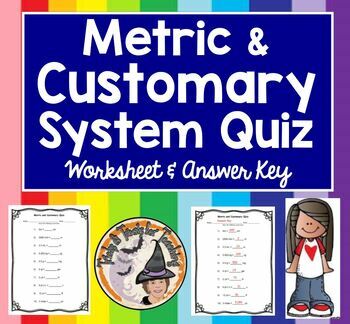 Provides a quick, complete assessment of students' knowledge and understanding of converting metric and customary measurement. You'll enjoy using this year after year. Please L@@K at my other 555+ GREAT teaching resources!